Angelo Fongoli of Azienda Agricola Fongoli in Montefalco is a winemaker I’m getting to know in the process of mentally shadowing biodynamic wine growers and makers. I’ve covered the basics and then some—more on that here if you are new to the topic—so I have a growing interest in how these farms and wineries achieve and maintain balance. It seems to me that the system works unless it doesn’t (or it isn’t attempted) and I’m curious about the tipping point. More to come on this project, but the bottom line is, I’m learning from Angelo Fongoli others that work and think like him. I’ve sampled his wines, a selection of Sagrantino made in several methods as well as red blends and single varietal whites including Grechetto and Trebbiano. Fongoli also produces grappa and olive oil, which I haven’t tasted. Montefalco is situated in Umbria, a hillside town that earned the nickname “the balcony of Umbria” as she gazes over the fertile farmland below. The thick-skinned, tannin-rich Sagrantino grape is the hub of viticulture in Montefalco, a variety cultivated in this particular spot, with little to no prevalence elsewhere. One of the most antioxidant-rich grapes in the world, Sagrantino develops with age, with a minimum of 37 months aging required by the DOCG. I tasted Montefalco Sagrantino Secco 2010 recently and the tannins have a blanket effect on the finish, with lively red fruits and a moist earthiness on the plate. It could live longer in the cellar if I had another bottle! Passito—sweet wine made with grapes that have been concentrated by two months of drying—is one version of Montefalco Sagrantino. The dry version requires an additional 12 months of aging in oak. Azienda Agricola Fongoli is completely Ecocert organic, since 2011—this includes the vineyards and the olive grove. They use only estate grapes, as a biodynamic farm looks to be self-sustaining. The Fongoli team also practices biodynamics and are working with VinNatur towards certification. VinNatur is a relatively new organization, formed in 2017. 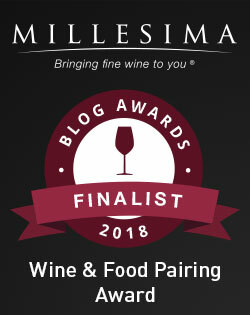 It happens that the wines I have tasted were made before 2017, but I find that wineries in the process of certification frequently tell me this does not mean they are in the process of converting, but rather, they’ve been farming a certain way all along and find that a specific certification suits them. VinNatur has a complete treatise, but its succinct goal is to promote “activities aimed at growing vines and producing quality wines, using natural methods that are tied to the territory, without being forced by technology.” There is zero tolerance for pesticides. The Fongoli methods are diverse and all-encompassing and from what I’ve seen from other biodynamic producers, this is how it must be. Biodynamics work to achieve balance and this happens when all components support each other, as well as the farmer and nature—and in the case of winemaking, cellar techniques must also coordinate. Planting of legumes, functional as “green manure,” which is plowed back into the soil as fertilizer. Native trees, grasses and plants including “spontaneous herbs” promote biodiversity near the vineyards. Copper sulfate and sulfur dust are used to prevent and treat downy mildew. VinNatur guidelines permit a maximum of 3 kg/ha of metal copper per year. I asked Fongoli about this, as the topic is showing a controversial side. “We use copper sulfate, but with the biodynamic work we can use only a small quantity, only in this case are they not dangerous.” It seems to me that this indicates overuse may be the culprit, and I’m digging into this topic more. Horses and goats roam the olive grove and snack on the weeds and undergrowth—the grove is fertilized through green manure as well. Treatments are made from natural products, applied in a zero-waste, biodynamic method. They honor tradition. The family has made wine since the 1920s and Fongoli swears by an “enological traditions awareness. Fongoli uses only indigenous yeast, no clarifications and no filtration. Most Fongoli wines are vinified, aged and bottled without sulfur. If sulfur must be used it is strictly minimal. The Montefalco Sagrantino DOCG and the Montefalco Rosso DOC are fermented in steel tanks, amphora or open vats and aged in used Slavonian oak. Skin contact fermentation in open vats is encouraged. Racking, lees contact and pour off is according to the moon periods, in alignment with biodynamic methods. You’ve jumped off into a topic that is ripe for exploration – biodynamics, organics, and how they impact everything from planting to bottling. I look forward to following along as you delve into it! I have so much information to put together! The aromatics were so fresh! Awesome explanation of how they are practicing biodynamics. I look forward to see what you have to offer next month when we all look at biodynamic wines of Italy! I know, this producer could be the feature of next month too! Your discussion of Fongoli reminds me somewhat of Francesco Dibenedetto at L’Archetipo in Puglia which I wrote about last November. Refreshing to see more producers moving in the direction of less is more and as Fongoli says “enological traditions awareness.” The world of natural, organic, biodynamic, and synergistic are just fascinating! So agree — it makes for good wine reading! I was so impressed with the Fongoli wines, they’ll definitely be on my future visit list for Umbria. Oooh, I hope you visit! Jill- What a nice read. Your posts are always so literary. I am intrigued by biodynamics as well and agree that unless it is complete, it can’t really function properly. I was very happy to read up on what Fongoli, a new winery to me is doing. Thanks for giving a really good look at their techniques in a concise format. Thank you! They were generous to share their methods with me! Really interesting to take an in depth look at the practices of a conscientous producer. Very nice read.